On last Monday’s “Tonight Show”, host Jimmy Fallon got pranked pretty badly, with a great Cobra snake prank! Fallon was hosting animal expert Jeff Musial (more about this amazing guy below), who first brought some terrifying Mexican tarantulas, which already scared Fallon immensely. The huge spiders crawled on his head until Fallon practically collapsed on the floor. After that, seconds before the Snake Prank, you could hear Fallon ask Musial not to scare him again. However, Musial then brought a snake basket and put it on Fallon’s desk. Musial told him there was a venomous Cobra inside, and gave Fallon a tiny hook and a flute, so the host could charm the snake. When the “snake” (which was of course a rubber snake prank replica) wasn’t moving, Musial asked Fallon to tap on the side of the basket with the hook, encouraging the scared host to get closer and closer to the basket. Fallon was edging slowly closer and closer, until Musial brilliantly detonated the rubber snake prank! Fallon jumped almost up to the ceiling, terrified by the fake snake encounter, he still smiled, like always…Don’t miss this great snake prank! Watch now! Jeff Musial has certainly made a name for himself in the world of wild animals. He started out working in a pet shop, and in the last few years he’s been showing on national television, and more. He’s definitely not only great at snake pranks, Jeff is an amazing educator about all sorts of wild animal species. Jeff’s love for animals started when he was a kid, catching garter snakes and frogs in his backyard. He was always with animals, studied zoology in college, and then in 1999 he started his own business, Nickel City Reptiles and Exotics. Since then, he’s been captivating people of all ages, using an amazing blend of education and entertainment. Check his official website here. Want to subscribe to Jimmy Fallon’s awesome show? Here’s a link to The Tonight Show Starring Jimmy Fallon. Want Your Own Fake Rubber Snake To Do your own Snake Prank? Cobra Snake Prank. Get it at Amazon.com! Rubber Cobra Snake Prank – Click here! This rubber cobra will be sure to scare people. Lay it in the grass by the door and watch your guests’ and family’s reactions and they walk up to the door! This classic prank never gets old. The cobra is a dark olive green with white stripes. It is also made of all rubber. This cobra is realistic-looking and life-size! Rattlesnake Prank. Get it at Amazon.com! Eastern Diamondback Rattle Snake Prank – Click Here! The Eastern Diamondback is the largest rattlesnake in the world, measuring an average of about 5.5 ft. It’s also one of the most venomous snakes in North America and has fangs that can be up to an inch in length. 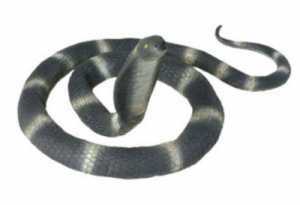 Be careful: This snake can strike from a distance equal to one-third its body length! The Incredible Creatures Collection features Extra large, soft, playful, true-to-life vinyl replicas of some of the most amazing creatures in the world. Excellent learning tool to introduce young children to our delicate and often endangered inhabitants of our planet. A fun way to spark the innate curiosity of a child. Each replica is finely hand painted and accurate down to the last detail. Green Snake Prank. Get it at Amazon.com! Green Snake Prank – Click Here! 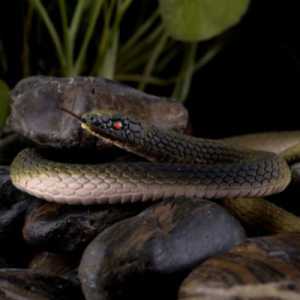 This beautiful, lifelike replica of a lovely Snake (green) measures approximately 49 inches from nose to tail. Replica is constructed of heavy duty, durable rubber. Recommended ages 5 to Adult 49″ from nose to tail (approximate). Previous articleOne Anti-Venom Against All Snakes?